If diamonds are a woman’s best friend, then a good barber is a man’s best friend. If you want to get a decent haircut with great service, look no further than our recommended barbershops in town. This new-age barbershop puts the bar in barber. Specifically designed with men in mind, this spot certainly has a way of making customers feel right at home, starting with the welcoming atmosphere and the drinks they offer while you wait. The crew here are experts in grooming the modern man from head to throat; the services available are haircuts, hot towel shaves, beard trims and even face washes – the full continental barbershop experience. 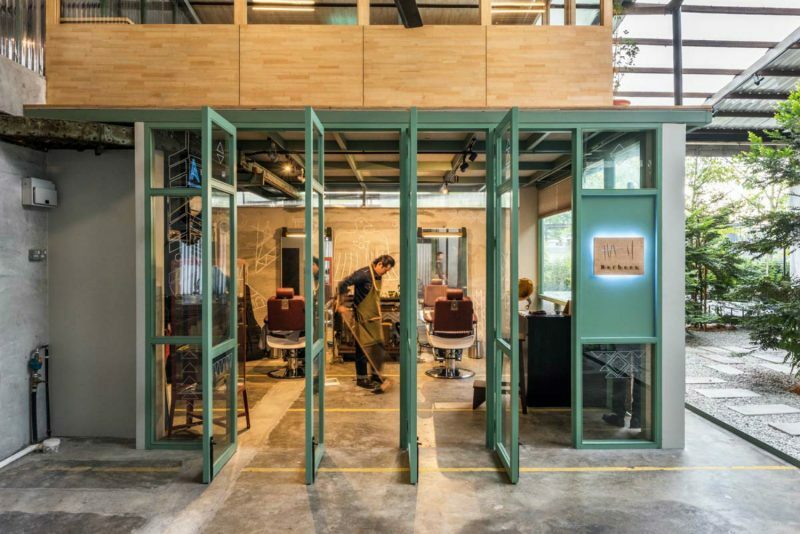 But it’s not just hair they’ve mastered: BARber 176 offers a complimentary glass of 12-year-old Glenfiddich whisky as a part of the service, which is as impressive as their cuts, championing the original idea of the barbershop being a place for men to socialise and congregate. On top of that, director stylist John Lloyd has a real knack for making people feel at ease; he draws on his expertise to propose dos that might work best for your face shape and bone structure, and only proceeds with the cut once you feel totally comfortable – so you know the barbers here mean business and have a passion for their art. The barbershop also carries a wide range of men’s grooming products from the American Crew line such as beard oils, shampoos and pomades. 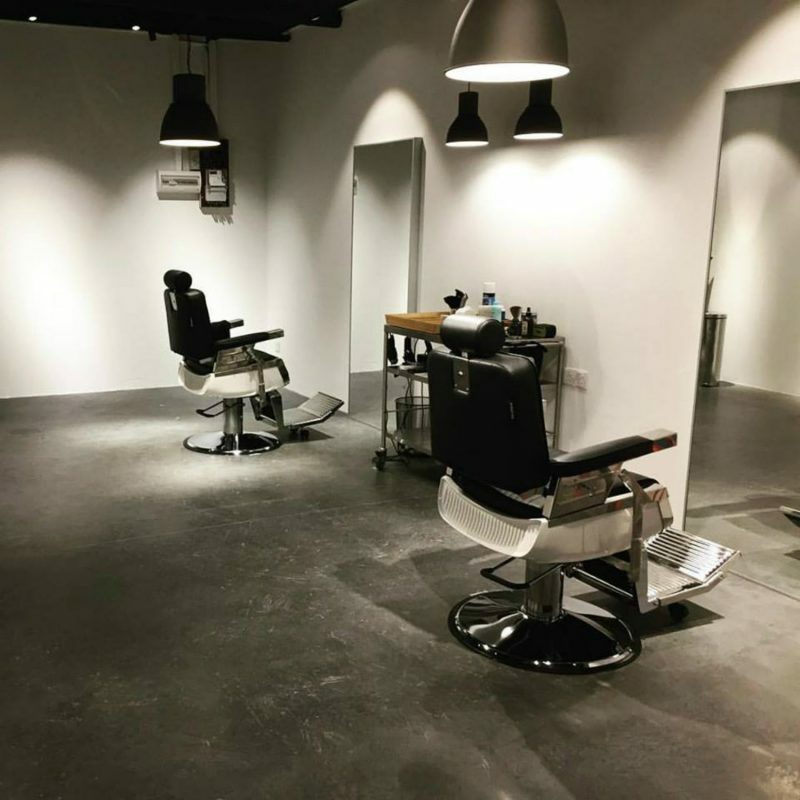 Blink and you might miss this tiny, one-man barbershop at APW Bangsar. Master barber McBE has been running this cosy space alone and straight razoring his way into many a KLite’s heart for several years while steadily drawing a serious fan base. Getting groomed here is a pretty public affair. Floor-to-ceiling glass windows on multiple sides allow natural sunlight – and the prying eyes of passers-by – to stream in. But it is McBE’s unwavering pursuit of men’s grooming that deserves all your attention. Come here for a typical crew cut, a sleek combover, bespoke cuts or treat yourself to a decent shave and beard scrub. Not too fussy and extremely thorough, each service is finished with a soothing hot towel treatment. Plus, this barber stocks hair products such as high-quality pomades from Japan; if you like the way the pomade feels on – and how it styles – your hair, you can buy it and take it home with you. 52 Barbers is outfitted with only two stations, but don’t be daunted if there’s a long queue; considering you’ll get the most precise and flattering cut of your life, it is well worth the wait – and lack of elbowroom. 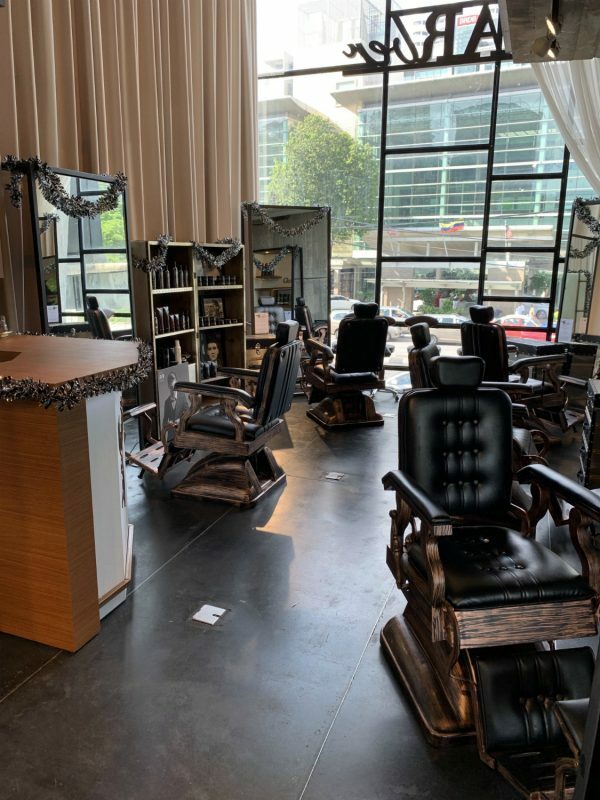 Founded by Ted Lee, this two-chair hangout is an all-around barber space that meets a variety of wants and needs. Having worked at Othrs. Barbers previously, Lee knows how to deliver a sharp, timeless cut for men of all seasons. In fact, his work motto revolves around offering good bespoke service, and he prides himself on being skillful enough to ensure each and every customer’s satisfaction. The barbershop’s official Instagram (@sweeney.ted) is a great source for inspiration – it showcases his excellent work, as well as the kinds of cuts other men have chosen. Apart from contemporary slick cuts, he also offers hot-towel cut-throat razor shaves and beard trims. Lee places strong emphasis on quality service by paying equal attention to the barbershop’s clean and simple white space, making it a league above your usual hipster haircut joint. The shop also addresses men’s grooming needs with handpicked products such as hair clay and beard oil from the Australian-based Burly Fellow, as well as soap, deodorants and solid cologne from the US brand O’Douds. Do note that it’s a one-man barbershop, so appointments are required.